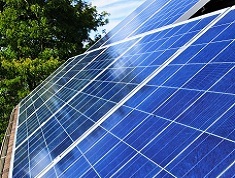 Solar Panels – cheaper than Coal. The fact that the cheapest electricity is being produced by solar panels during the day is turning the energy generation industry around. This was the time when traditional generation cost the most but solar panels are pushing this the other way and the excess of free electricity is driving prices down – bad for the utilities but great for the public particularly those with solar panels installed. These utility prices are driving people away from this model to more people friendly solar panels. It’s an easy installation, no real maintenance considerations and the sun is a very reliable source of energy on an annual basis. Solar panels provide your own private electricity generation at a price cheaper than the grid – what’s not to like? The utilities of course hate this and will try to block the rollout of solar panels but the momentum is gaining pace and the expansion of the use of solar panels will be impossible to stop. Australia’s experience will be an advance warning to our own utilities in Ireland. Although there is a higher solar resource in Australia the use of this technology is based on finance not on solar resource – i.e. when the cost of generating energy from solar panels is cheaper than the grid then they will become widespread. This is now in Ireland – people just don’t know about it yet.